Lately you may have noticed that your inside jokes with your spouse are missing the mark. Maybe you’ve found yourself repeating the same thing over and over again before your parent responds. You may have noticed that your best friend hasn’t been around to social functions and that when you call, your conversations are short and disjointed. It’s difficult not to take these minor fissures in interpersonal relationships personally, but before you get upset, consider this: perhaps your loved one is dealing with hearing loss. As we get older, our hearing naturally weakens, some at a more rapid pace than others, influenced by biological or environmental factors. Hearing loss affects 20% of Americans, with one in three adults over the age of 65 experiencing some degree of hearing loss. Signs of hearing loss include difficulties in speech recognition and in hearing conversations in louder environments such as restaurants and bars, a tendency to turn up the volume on home entertainment systems, and a gradual withdrawal from one’s social life. If you’ve noticed some of these signs in your loved one’s behavior, chances are they have, too. On average, it takes seven years from the time they recognize symptoms of hearing loss before a person decides to seek treatment. Given the number of health issues – both physical and emotional – related to untreated hearing loss, we hope you consider having a conversation with your loved one about getting their hearing tested, sooner rather than later. Here are some tips to having a productive conversation. There are bountiful resources online about hearing loss. The Hearing Loss Association of America offers resources and information on their website about hearing loss, related problems, and statistics. Perhaps there may be a hesitation to discuss hearing loss due to stigma about aging and hearing aids. With more information in your toolbox, you’ll be able to have an informed and persuasive conversation with your loved one about the importance of getting a hearing test and finding solutions for their hearing loss. For example, people with untreated hearing loss are at higher risk for developing depression, anxiety, and even dementia. Studies have shown that with untreated hearing loss, one’s personal safety may be compromised, with a higher rate of falls and accidents among people who do not seek hearing loss treatment. People with untreated hearing loss have lower earning power than colleagues with normal hearing and colleagues who treat their hearing loss with the use of hearing aids. By now you may have become aware that conversations are challenging for your loved one, depending on the degree of their hearing loss. People with untreated hearing loss have difficulties with speech recognition. Loud, public spaces or busy, stressful moments that are subject to interruption are not recommended for this conversation. It is important to find a calm length of time to have the conversation, in a space that is quiet and private. When speaking, there’s no need to over-enunciate or speak too loudly – in fact, your loved one may find this rude! Instead, face your loved one and make sure you have their attention. Speak as you normally work – just be clear when you speak. Make sure not to mumble or cover your mouth. After you’ve expressed your concerns to your loved one, give them space to speak. Chances are they have felt the same concerns, along with fear, frustration, and shame. Allow them the opportunity to express their feelings about their experience. Ask open-ended questions that will encourage them to talk and share, rather than yes or no questions. From your research, inform your loved one of the benefits of seeking treatment for a hearing loss and that there are many advanced solutions available. Reiterate the benefits of treating hearing loss – from one’s emotional and physical well-being to one’s earning power. 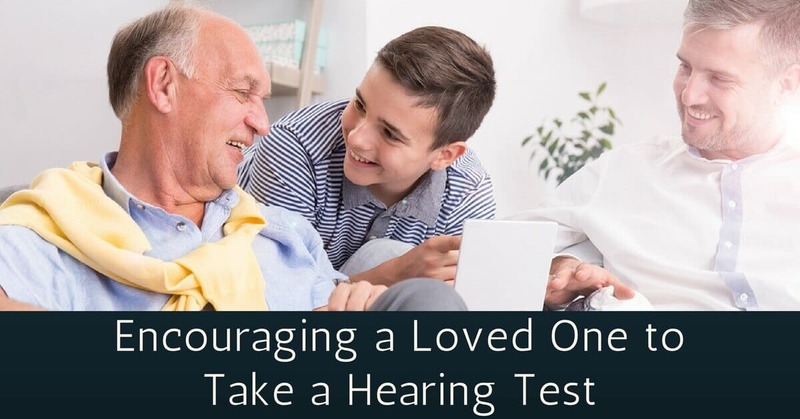 Remind your loved one that you are here to support them through this process, and offer to join them for their appointment with a hearing specialist. Reassure your loved one that though it may feel daunting, they are not alone on this journey and that you are available to help them along the way. When the time is right, contact us at Coweta Hearing. Our team is experienced and ready to support you on the journey to better hearing health.